Over the past year we have been building a community owned, Wi-Fi network across New York City. We’re motivated to provide a decentralized alternative to the large Internet Service Providers. 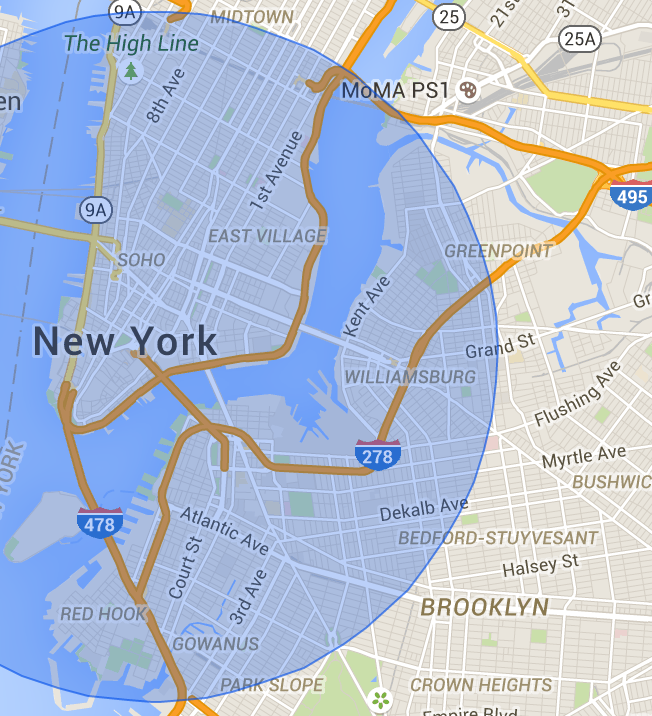 The NYC Mesh network is built using inexpensive routers running our mesh software. The software automatically connects to nearby mesh routers, increasing and strengthening our network. We use rooftop routers to connect buildings, and smaller routers to connect apartments together. Our network can run independently from the Internet and the mesh software can automatically re-route around any outage. This makes the network very resilient and useful during emergencies. We currently use the network to share Internet access, and we also have small web servers with local information. So far we have 42 locations spread across the city. To take our network to the next stage we’re planning to lease rooftop space at an Internet exchange point and install a “supernode”. With this supernode we will have an antenna that can reach lower Manhattan and a large part of Brooklyn. This will help provide Internet to many people and allow us to reach under-served areas at a very low cost per person.